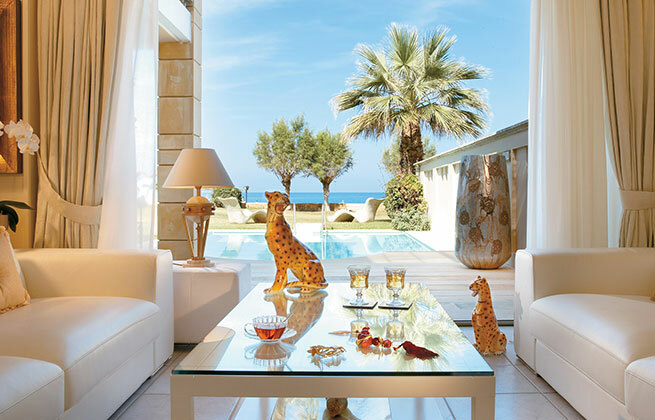 You don’t have to own a Greek island; our amazing collection is all you need for another summer of partying in a beachfront villa and being wooed in the Greek summer. 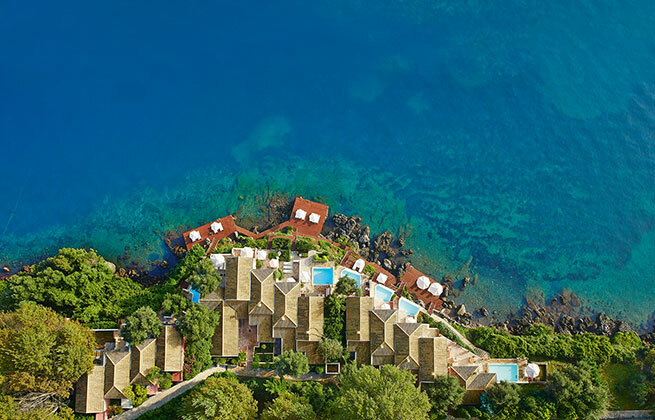 Escape into the lavish settings of Grecotel's unique collection of villas-all strikingly elegant and completely enhanced. A new standard of luxury awaits your arrival: indulge in extravagant relaxation and revel in the plushness of stylish custom-themed art decor, opulent details, contemporary furnishings, and the finest amenities. 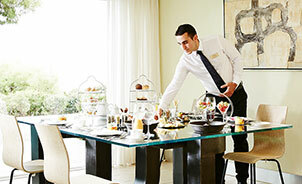 All this paired with unique seafront locations and top Grecotel discreet service. A once-in-a-lifetime experience every time. Take a moment to tell us your specific details and needs so we may contact you with ideas and proposals. Indulge in signature service philosophy. Your private butler will make any arrangements needed from exclusive private chef and special dining to in-villa beauty treatments and gazebo beach services. Our designated team will organize any private transport you request either by yacht, helicopter, plane or limousine. Enjoy additional comforts from pillow menus to cosmetics and wine coolers to unpacking services and more. To ensure that you enjoy your stay with us as fully as possible, we invite you to customise your booking and stay to suit your preferences. 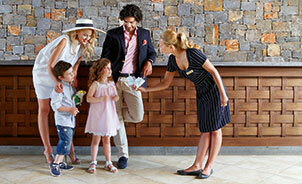 Book your stay now and luxuriate with a host of additional benefits. 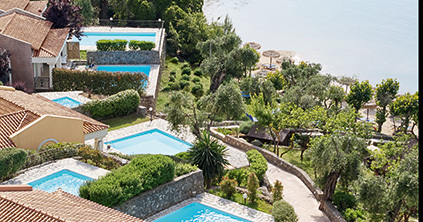 Enjoy the famous Grecotel bespoke personalized, utterly discreet service, unique gastronomy experiences and a world of additional benefits that will transform your vacation into the escapade you deserve! 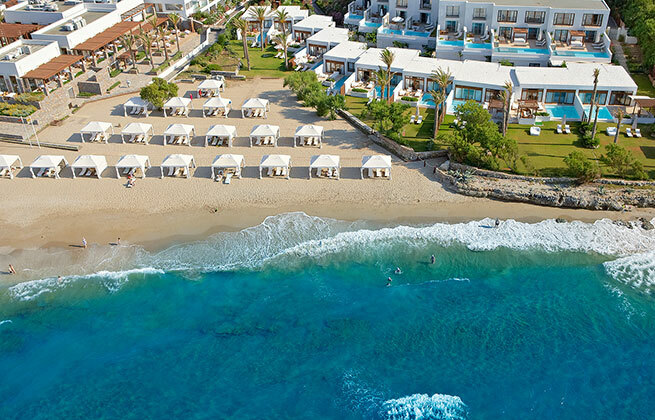 Book now our package and indulge in Grecotel's most extravagant Villa Retreat! 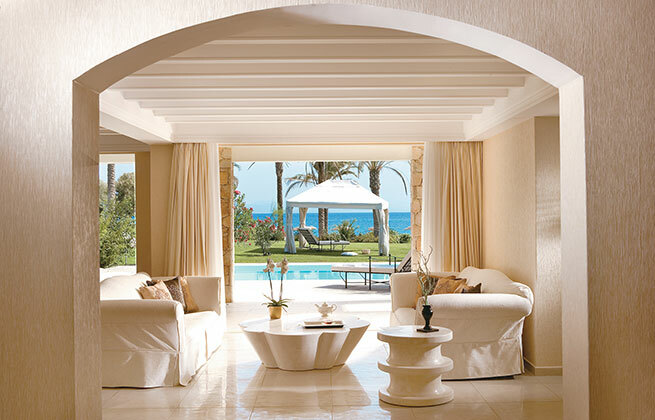 Escape into the lavish settings of Grecotel's unique collection of villas-all strikingly elegant and completely enhanced. 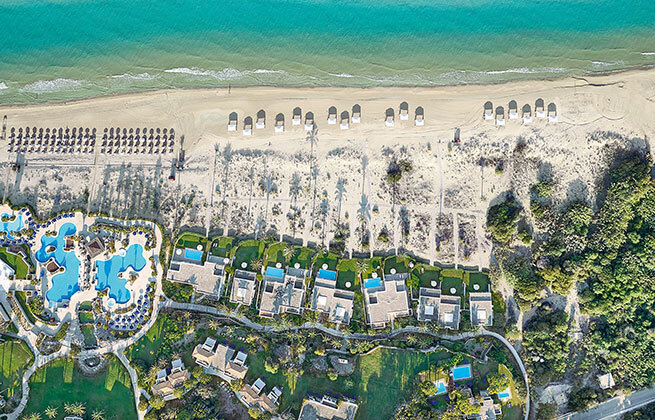 A feast for all the senses awaits for you at Grecotel Hotels and Resorts, in Greece’s most superb locations. 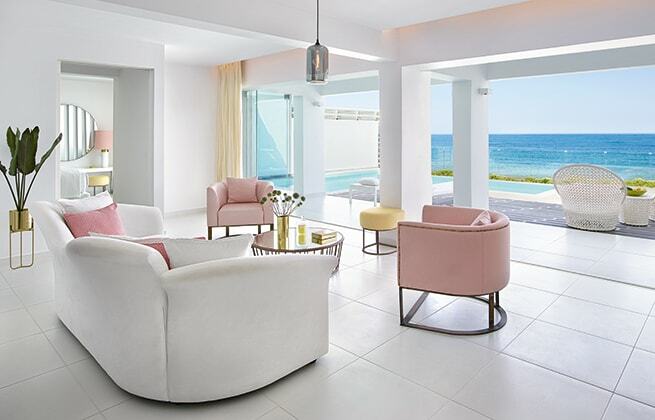 Τhe villas feature indulgent high tech details such as home cinema, private gyms and state-of-the-art bathrooms with colourtherapy and aromatherapy Jacuzzi bathtubs. Eccentric luxury on the beach. 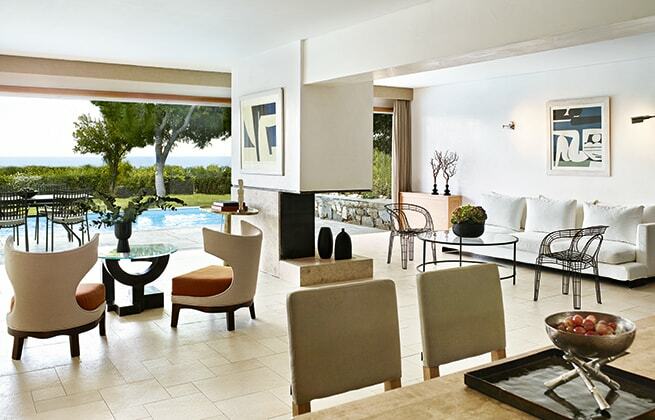 Immerse yourself in a true luxury experience in these individually designed villas. They are filled with sumptuous antiques, hand-painted tiles and the full amenities of a modern luxury resort so you can enjoy a truly pampered lifestyle. From the designer interiors, private pools and waterfront villas to the personalized services make your vacation a one in a million experience. Aristocratic villas share the mood and comfort of a seaside country home. 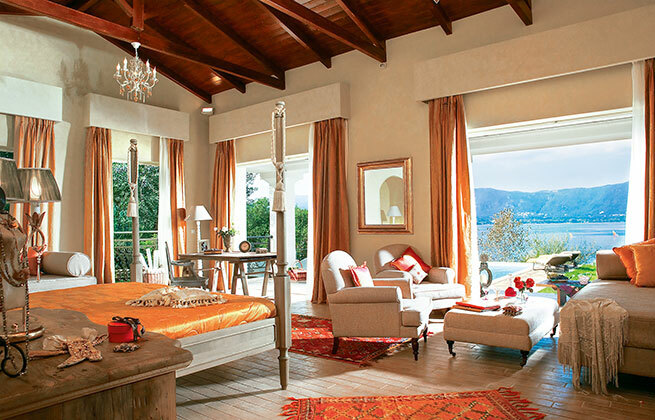 Discover the brand new Palazzo Libro D’Oro, your own Italian-style chateau, nestled in a private inlet on the glorious shoreline of Corfu island. Nestled in a private inlet on the glorious shoreline of Corfu island. On the beachfront overlooking a private cove. Exquisite villas with a private pool framed by lawns and rock gardens that combine the simple beauty of rustic architecture with five-star comforts. Individually designed in an updated version of Belle Epoque elegance. These perfect hideaways are the ultimate in graceful living with the services & amenities of a five-star-plus luxury resort. Blu remastered. 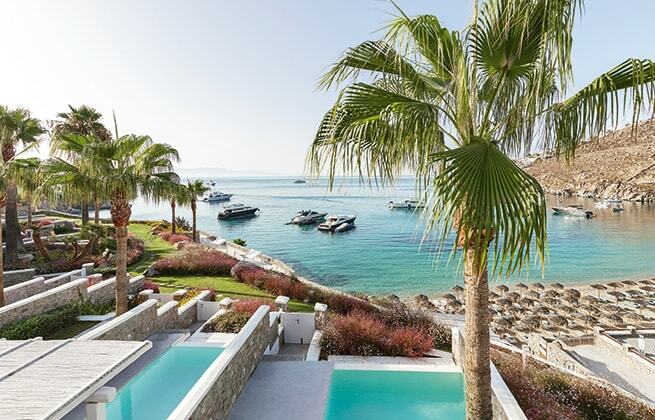 Cycladic dramatic décor, sensual views & island chic right above Greece’s most famous beach, Psarou. Elegant and spacious villas located in the private fragrant gardens directly on the beach and offer unrivalled sea views. 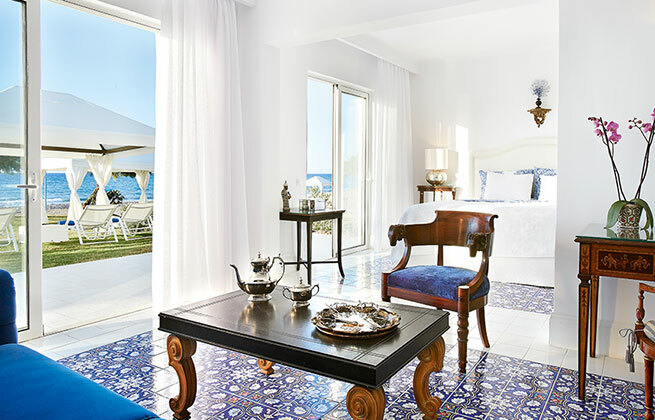 Each villa is showcasing unique interior with beautifully appointed open lounge and dining areas in blue tones and hand-made white patina furniture.